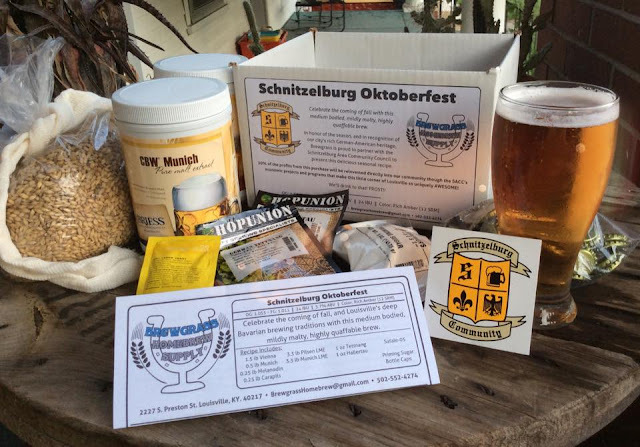 Schnitzelburg Area Community Council: Three Points, Germantown Mill Lofts, Dog Jog, Beetlejuice, and more! Three Points, Germantown Mill Lofts, Dog Jog, Beetlejuice, and more! 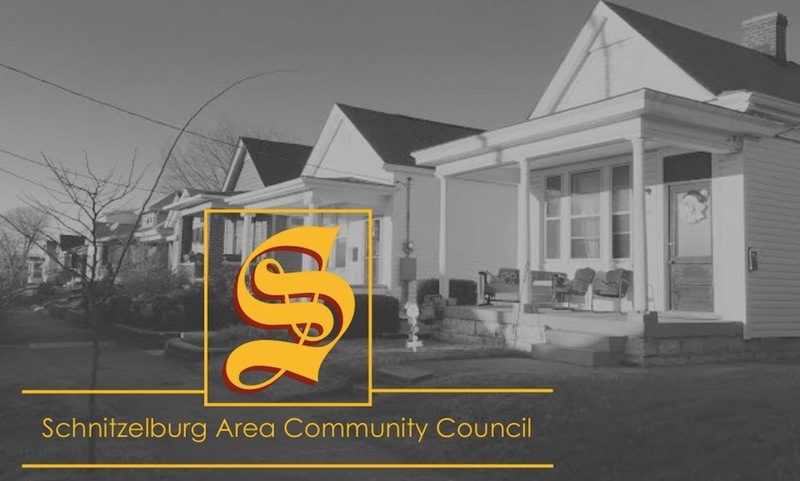 The Schnitzelburg Area Community Council is very pleased to be a part of a new beautification project coming to the intersection of Goss Avenue and Logan Streets. Initially, the concept was solely to paint a mural on the side of the Abell Elevator Company's building. As time passed and ideas were bounced around, a simple mural snowballed into something bigger. Painting a beautiful mural and not transforming the surrounding area would be like, as someone said, "putting on a fancy top and not changing the ratty, old jeans you are wearing on the bottom." Soon, a landscaping proposal was in place, the crumbling (and, in some places, non-existent) sidewalks were being targeted for paving, and we began to look at how the space could better serve the community. Elements like a bench, trash can, "No Littering" signs, and a metal sculpture were also added. Becoming more than a mural, the project needed a name. The red star represents the site of Three Points. 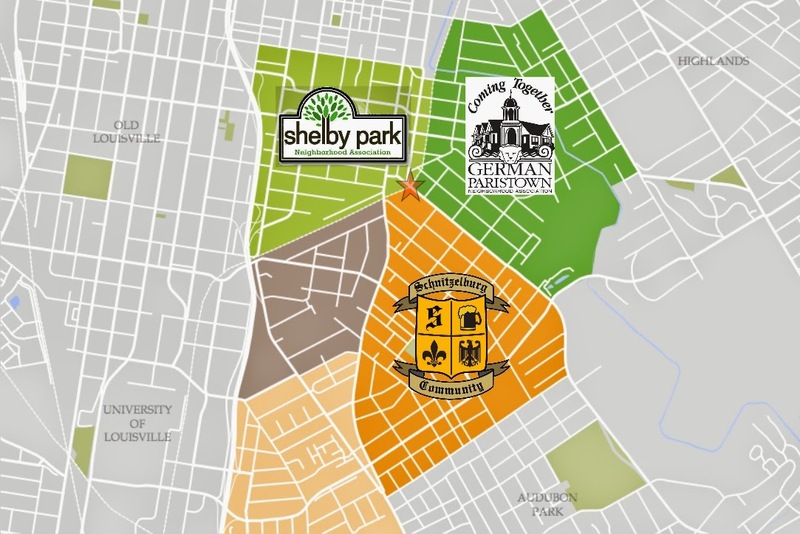 Looking at a map of neighborhoods, we noticed the project is in a unique spot - three neighborhoods connect here: German-Paristown, Schnitzelburg, and Shelby Park. 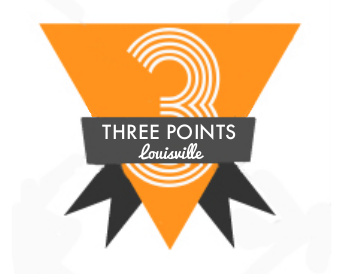 It was quickly realized that "Three Points" was a fitting name for the project. The three neighborhood organizations representing these areas (German-Paristown Neighborhood Association, Schnitzelbrurg Area Commuity Council, and Shelby Park Neighborhood Association) have been fully supportive of the project. As these three neighborhoods are seeing a lot of positive change, from new local businesses to infrastructure improvements to a hot real estate market, Three Points aims to capture that momentum and embrace the pride we share in our unique community. The sidewalk before and after. The project has been enthusiastically embrace, which was especially evident by a volunteer clean-up at Three Points on Sunday. Volunteers worked 5 hours to remove 6 bags of trash, 6 lawn bags full of weeds and other organic material, an entire F-350 truck bed of overgrown trees, and another truckload of aluminum slats from the fence. Volunteers also primed a wall, hung signs and hand painted another, and scrubbed the main mural wall. It is amazing to see what a group of passionate people can accomplish. Three Points received $6,500 from Metro Council's Neighborhood Development Funds. We're overjoyed to have this funding, however, it only covers the part of the mural and all of the landscaping. In order to raise additional capital, we've turned to a crowd-sourcing fundraising site for civic projects called Neighbor.ly. At the time of posting, nearly $2,300 of our $4,000 has been raised. We hope those who support the project will donate whatever amount they are able to give to support this project. The mural is slated to be completed September 20th through September 28th, with landscaping, bench installation, and other aspects of the project soon following. Expect Three Points to be transformed by the end of October. More information, including mural renderings, project proposal, budget, artist information, etc, can be found at threepointslouisville.blogspot.com. You can also "like" Three Points on Facebook to follow the progress of the project, get project updates, and see additional pictures. 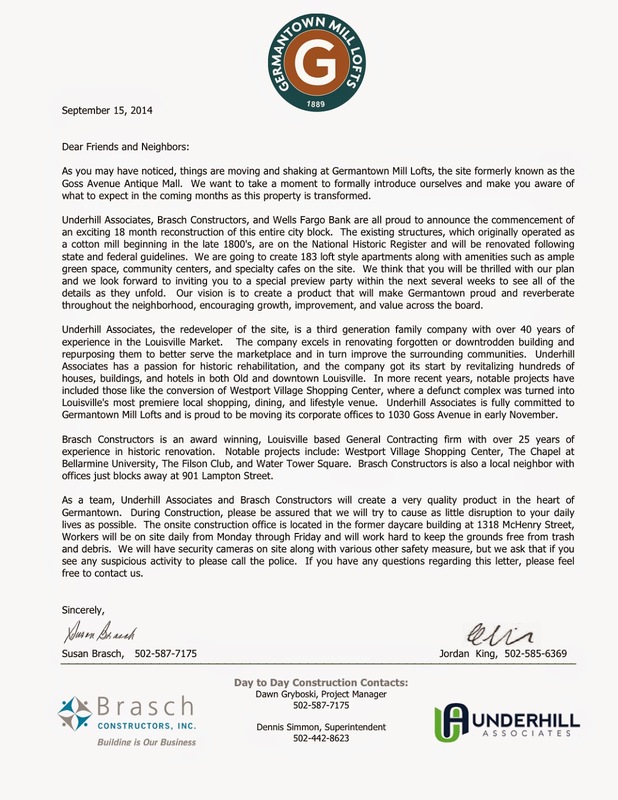 Many of you have been asking about the status of the Germantown Mill Lofts and we are happy to share the following letter with you from Brasch Construction and Underhill Associates. The letter references Underhill Associates moving their corporate offices to 1030 Goss Avenue in November. That building is currently occupied by the Paralyzed Veterans of America, next door to Mo's Food Mart and across the street from Four Pegs. We welcome them to the neighborhood! 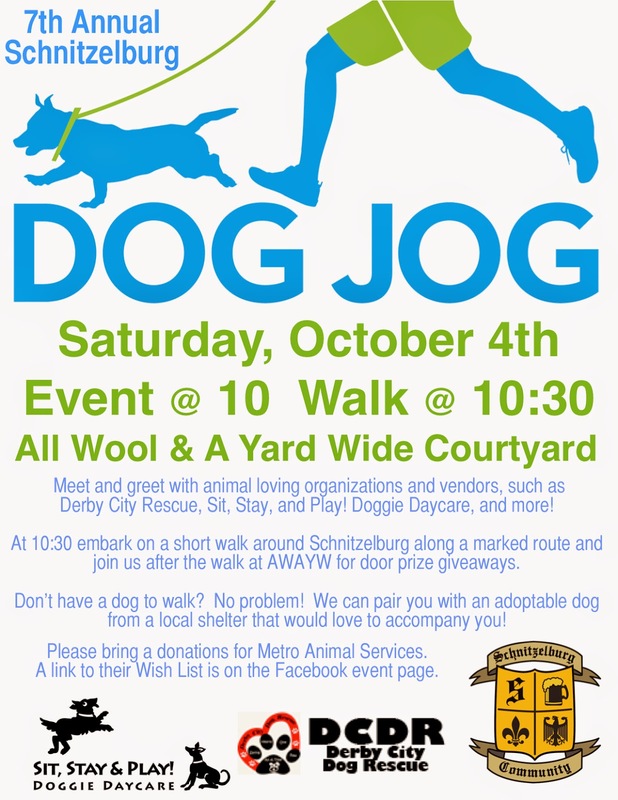 Please join us on Saturday, October 4th for a morning walk/jog through Schnitzelburg with your neighbors! Any and all are welcome - even if you don't have a four legged friend! Join the Schnitzelburg Area Community Council and Metro Council President Jim King for a movie night in Emerson Park! This year we will be showing the Tim Burton classic Beetlejuice! 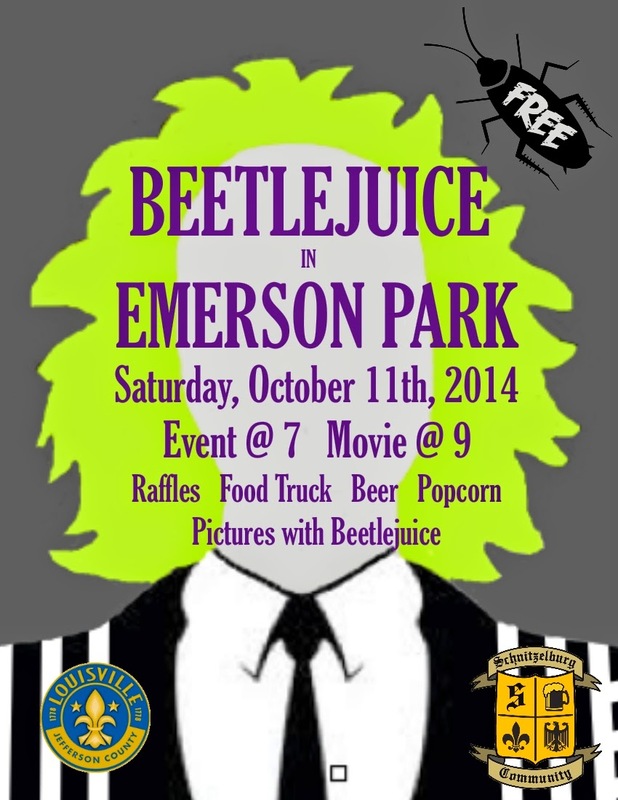 Emerson Park will be transformed for movie night, complete with a foggy graveyard, sandworms, and a real life Beetlejuice!! Need a bio-exorcism? Come see the ghost with the most at Emerson Park on October 11th! The Rudyard Kipling will have their food tuck on site to sell tasty treats, as well as cool beverages (including beer!). We will also have pizza from Danny Mac's, pretzels donated by Pauly's Schnitzelburg Pub, and free popcorn donated by Nuts-n-Stuff!! Items to be raffled off to benefit SACC include a Beetlejuice gift basket, a Greenhaus gift certificate, teeth whitening from Mortenson Family Dental, a pair of tickets to the Haunted Hotel, and more!!! This is an event for the entire family...and its's FREE! Event begins at 7:00 pm and movie begins at 9:00 pm. Please bring a chair and/or blanket to sit on. We will have portable toilets in the park for your convenience. Be sure to visit the SACC booth and say 'hello!' 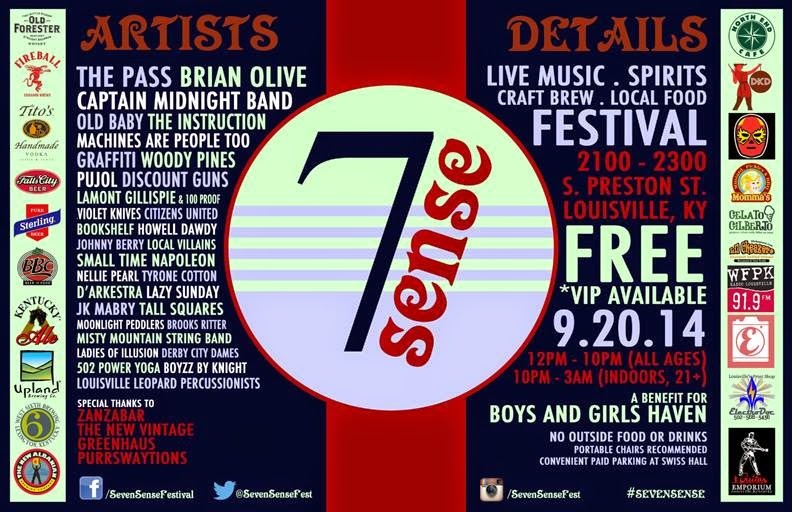 at the Seven Sense Festival this Saturday! Stay tuned to the blog for upcoming insider stories on the new restaurant going in the old Flabby's building at the corner of Hickory and Lydia and The Post (the new pizza joint currently under construction in the old VFW Post on Goss). The Post will be having a zoning hearing on Thursday, September 18th to address their zoning change and variance request to have a front patio. If you would like to write a letter of support or concern, please click here to view a letter from the Department of Codes and Regulations that includes an address that residents can send letters to by October 10th. Please sign up for email alerts on the right sidebar so you can stay up to date with the SACC blog! Thanks for reading and see you around the 'Burg!